Home › Accessories › History of Oriflame which has been around for 50 years. 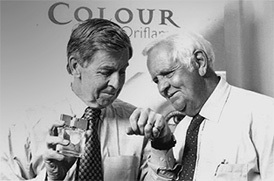 Get to know the history of Oriflame, which has been around for 50 years. Oriflame operates in the market of direct sale of high quality cosmetics, with an independent sales team and outside the traditional retail market. Direct Selling allows customers to get advice and inspiration from people they know and trust. Oriflame also gives the Opportunity to join a strong sales team and create their own business. Being an Oriflame Consultant means having an unlimited income and career opportunities, personal training and a sense of belonging to a pleasant global community. Oriflame’s vision is to be the # 1 Direct Selling Beauty Company and its mission is, and always has been, to fulfill the dreams of people all over the world. Oriflame is a company that is characterized by a spirit that everything is possible, in a young and enterprising environment. It is today one of the cosmetics companies with one of the biggest growths in the world. Oriflame is present in more than 60 countries and is market leader in more than half. A sales team of more than 3 million Beauty Advisors who sells a complete range of cosmetics, perfumes, accessories and high quality wellness products . While the company has grown rapidly, it has never lost sight of its original business concept – Swedish Natural Cosmetic Products sold from friend to friend. Respect for people and nature are the fundamental principles of Oriflame, reflected in many of our social and environmental policies. Oriflame is proud to support numerous causes of solidarity around the world and is a co-founder of the World Childhood Foundation. Registered on the Nasdaq OMX Exchange since March 2004. 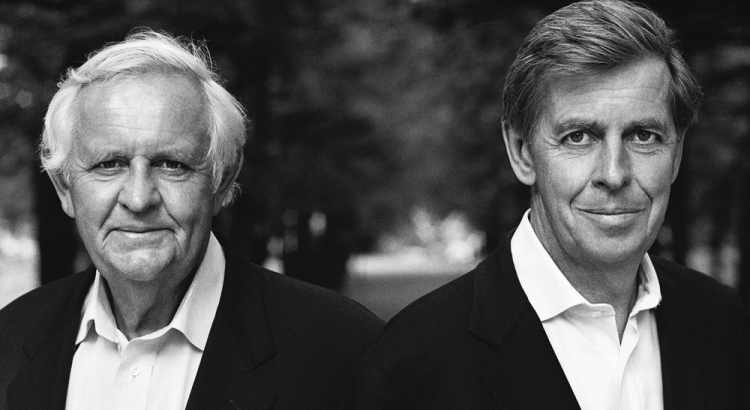 Founded in 1967 by two brothers (Jonas af Jochnick and Robert af Jochnick) and a friend (Bengt Hellsten) who decided to start their own business to realize their dream. Today, Oriflame is a direct-selling cosmetics company present in more than 60 countries worldwide. Its vast portfolio of Swedish natural products is marketed through a sales force of more than 3 million Advisors, reaching annual sales of around € 1.4 billion. Its history has been marked by countless successes! When Jonas and Robert gave up their stable jobs 50 years ago , people thought they were crazy. But they had a great idea in mind, and an even greater ambition. With a belief and unyielding positivity, they made Oriflame one of the largest beauty companies in the world . When asked where this winning mentality came from, the answer is obvious – one from the other. Being very competitive since childhood, they always practiced various sports and organized competitions at home. According to her sister, they even competed on the way to school. And this competitiveness has played a huge role in the success of Oriflame over the years. This spirit of struggle becomes evident when confronted with the challenges that have been presented. It’s as if they do not recognize the problems – they just saw the opportunities . Opportunities to change things and make them better. This winning mentality quickly spread to everyone who has joined Oriflame over the years, sharing the same energy and values. They never gave up either. Robert and Jonas took special care in hiring Country Managers . They knew that choosing people with a mentality similar to yours would be key to keeping alive the special culture of Oriflame. And, of course, the same applies to the sales force. Oriflame has quickly become, and still is, a magnet for those who strive to make a positive change in their lives, and in the lives of everyone around them. These people have become symbols of success within Oriflame. Witnessing this kind of positive change in people’s lives is what makes Jonas and Robert feel more proud. They believe that selling dreams and opportunities is unbelievably inspiring – something that brings meaning to life. They also strongly believe that good things should be accessible to everyone – not just the privileged few. Oriflame offers everyone the opportunity to realize their dreams and change their lives . And we are not just talking about financial independence. The two brothers quickly realized that the Consultants liked to grow as people through this opportunity. They also found that as they progressed in their careers, they felt more part of the warm and caring Oriflame family, with family values. These family values are at the heart of the business. Being brothers, it had a huge effect on this journey. It came naturally and Jonas and Robert saw the positive effect this had on attracting people to their sales force. So much so that sometimes whole families join the business. But however big the company has become, success is in the details. The fleeting moments of kindness among siblings, their natural ability to communicate in a very “down-to-earth” way, and how they have always dealt with people in a positive and understanding manner. These small but extremely powerful details have guided Oriflame for the past 50 years. And they will continue to lead the company for many years to come. 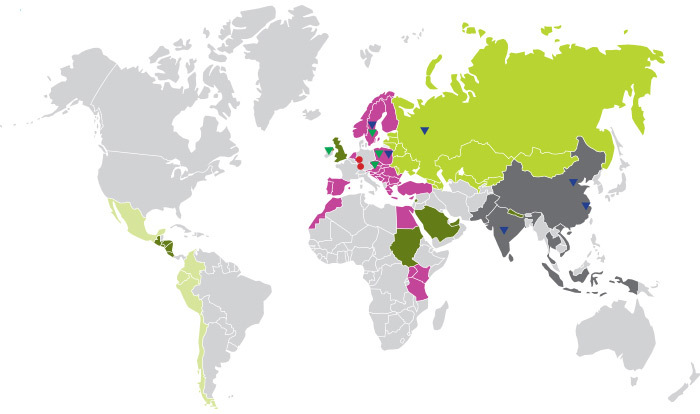 The Countries where Oriflame is present. Seize the Oriflame opportunity today! Together, Spirit and Passion are the core values ​​of Oriflame. They are what make Oriflame a unique company. These values ​​give us the confidence necessary for everyone to achieve success in a competitive business while helping us to make the world a better place. Together refers to people who work together and share the same goals to achieve better results. They motivate each other and know that going together in the same direction is much more rewarding than doing it alone. Spirit refers to people who have a spirit that everything is possible, a winning attitude, and they never give up. These people are committed to achieving success. Passion refers to people in love who have the power to change the world. They love and believe in what they do and know what it takes to make a difference. Oriflame aims to become, in the long term, a totally sustainable company. This means living with respect for the limits of our planet, our environment and a just society where all can prosper. That is why in formulating the products, we are concerned with using natural ingredients that are in accordance with our strong environmental policies and are not harmful to the environment. It is one of the first companies to use plant extracts in face care products, and always tries to optimize the use of ingredients taken from renewable plant sources. Although much progress has been made, Oriflame recognizes that this is a long road and that much remains to be done. That is why in 2013 it decided to implement a sustainability strategy, defining the three key areas in which Oriflame continues to remain focused and dedicated. Create opportunities to improve people’s lives – for Oriflame Assessors, customers, employees and suppliers, but also in a broader sense through community involvement and support for social causes. Bring beauty and well-being through our responsible product ranges, continuing to develop products that meet the highest social, ethical and environmental criteria. Promote environmental sustainability, not only in our activities but also through our value chain. Areas of focus include the use of renewable and sustainable materials whenever possible, reducing CO2 emissions to air and water, and reducing the amount of waste. Oriflame is taking important steps towards greater sustainability. The Ecobeauty video shows you how the product is made. Oriflame has always taken on a passion for dream fulfillment. Despite being an important part of the philosophy of your business, this passion extends beyond this, reaching the actions of solidarity that promotes since the foundation of Oriflame in 1967. Oriflame believes that by supporting the most vulnerable in our society – children and young women – it can help give them the opportunity to make their dreams come true. This firm commitment is the guiding principle of the Oriflame community’s involvement and is also in harmony with its business model. To reach the full potential, Oriflame brings together all community actions under one umbrella – The Oriflame Foundation. Here, he works with NGOs and charitable organizations that, in addition to extensive experience in developing successful educational initiatives, also support the company’s goals and values. These include the World Childhood Foundation and SOS Children’s Villages, two global organizations with which Oriflame is proud to work. All children have the right to childhood, safety, joy, fun and curiosity about life. Unfortunately, many children are deprived of these fundamental rights. The World Childhood Foundation, founded by Her Majesty Queen Silvia of Sweden and co-founded by Oriflame, helps marginalized children throughout the world. Through this inspiring foundation, Oriflame has been able to reach out to vulnerable children living on the streets, children suffering from sexual abuse and institutionalized children. The essence of SOS Children’s Villages is the long-term care, in a family concept, of children unable to grow up in their biological families. Today, just as it began 60 years ago, the mission is the same: every child has the right to a family, every child has the right to grow up with love, every child has the right to grow up with respect. Oriflame is based on social contacts – and what better way to join us than music? For several years, Oriflame has created songs that are motivational, inspiring and fun. To create these songs, we are proud to have collaborated with the best Swedish songwriters and songwriters. Listen, get inspired and have fun!